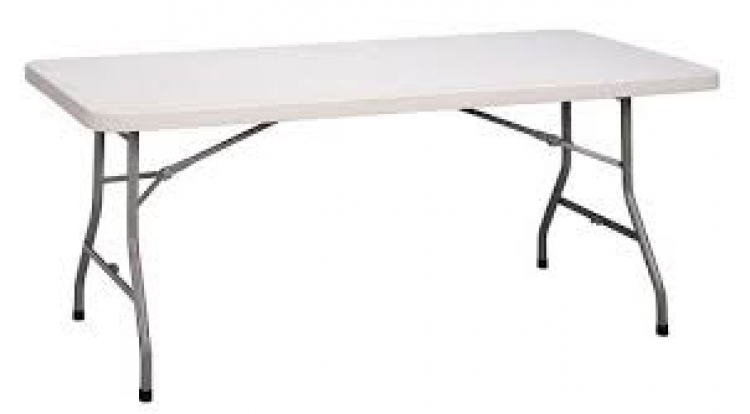 These plastic folding tables are 6 feet in length and with a metallic base are sturdy enough for just about anything you have planned. Seats 6 to 8 people comfortably. Cover with your own table cloth to go with your party theme. PRICE DOES NOT INCLUDE SET UP. • Seats between 6 to 8 people. • Table covers are Not Included. • You have the option to rent Individually or with our chairs.